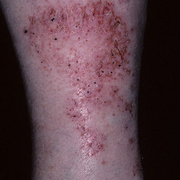 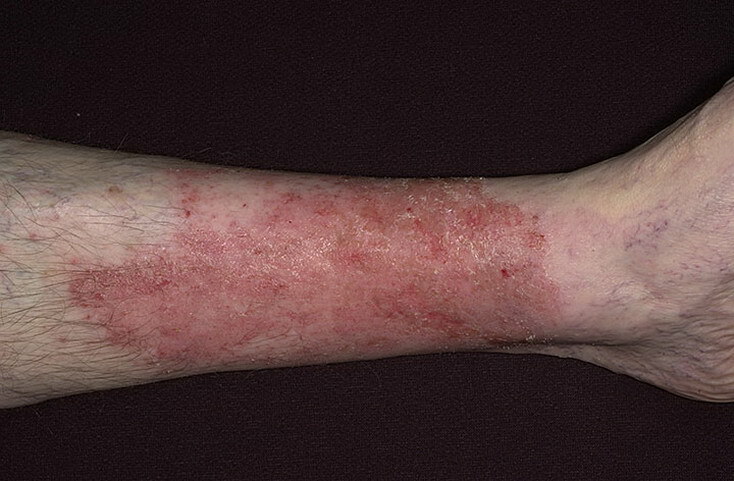 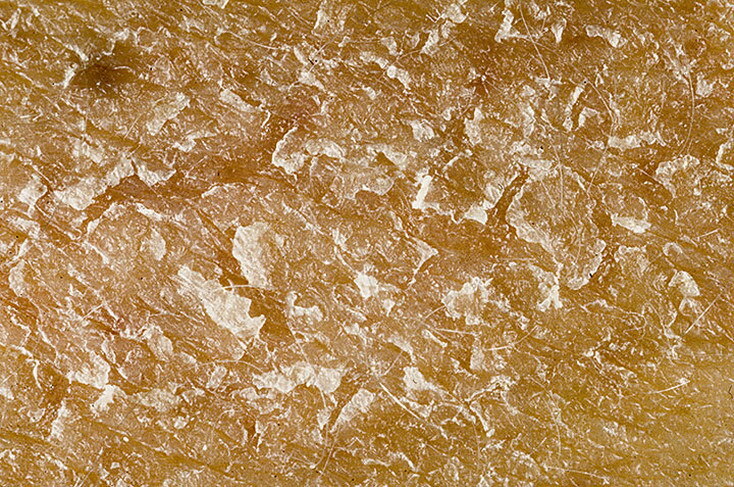 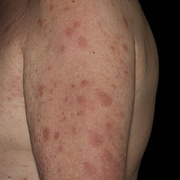 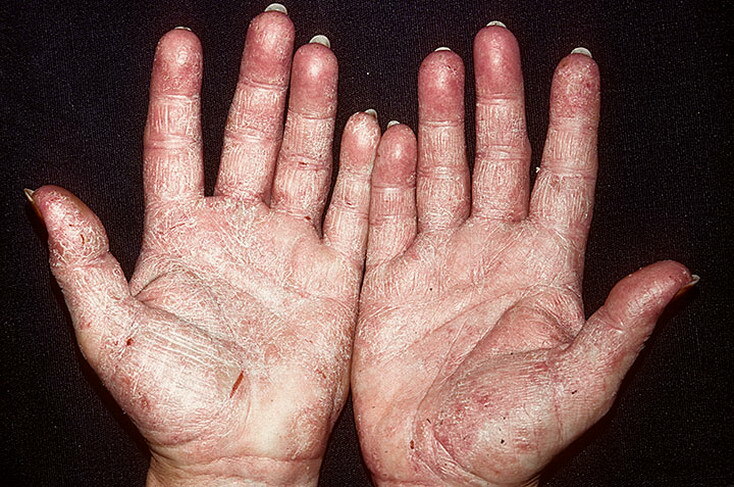 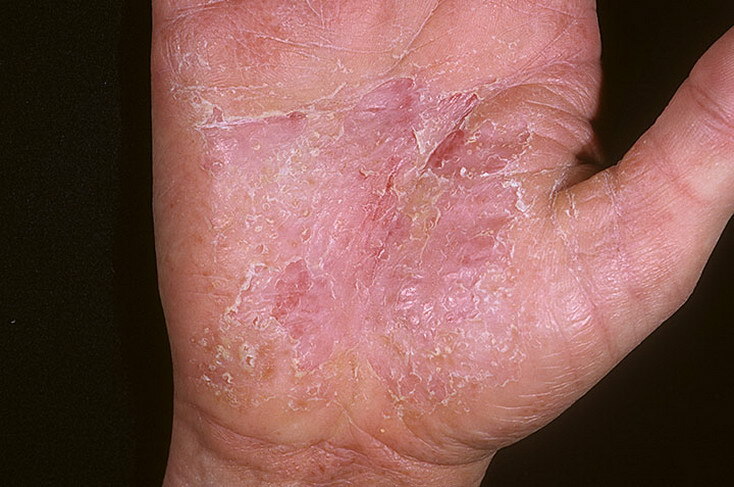 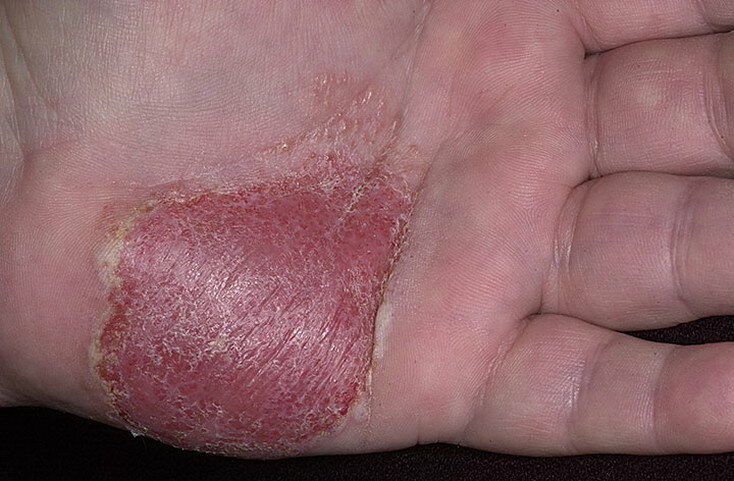 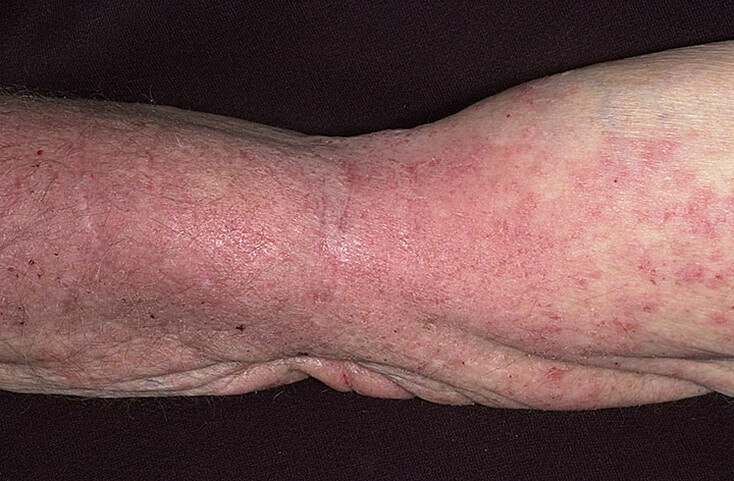 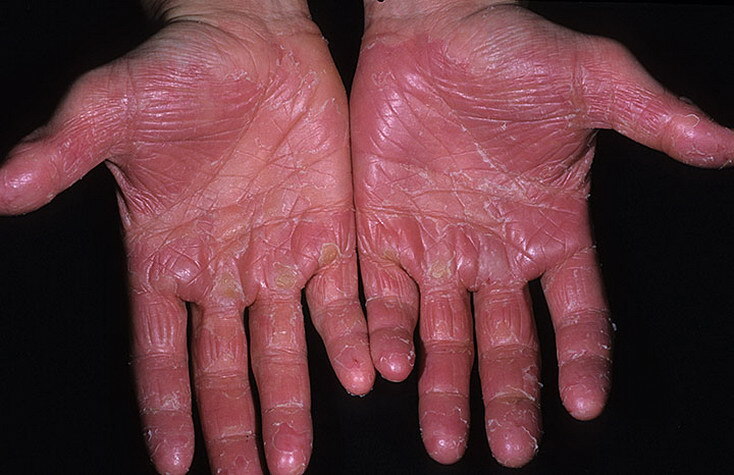 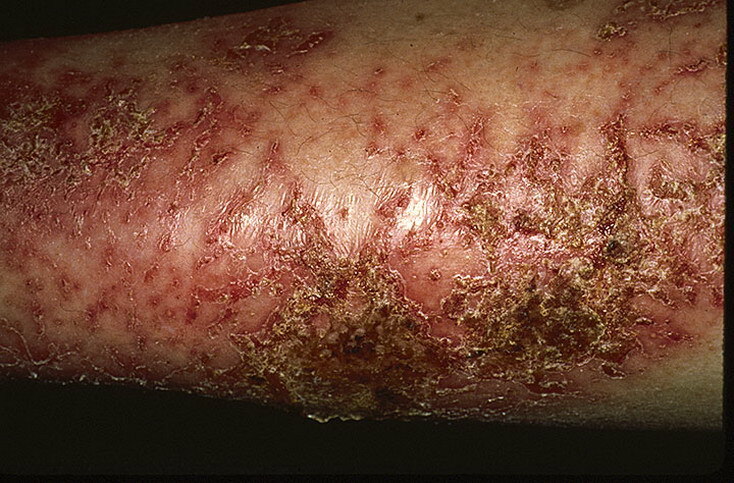 Eczema is sometimes called dermatitis which means inflammation of the skin. 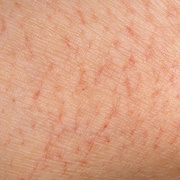 There are different types of eczema. 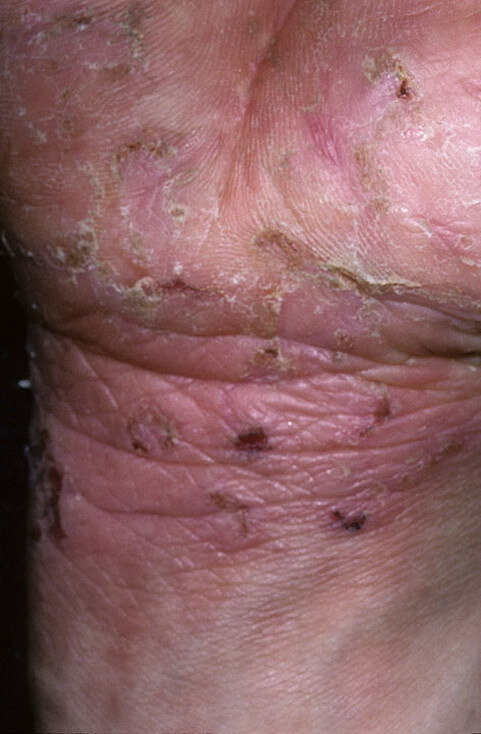 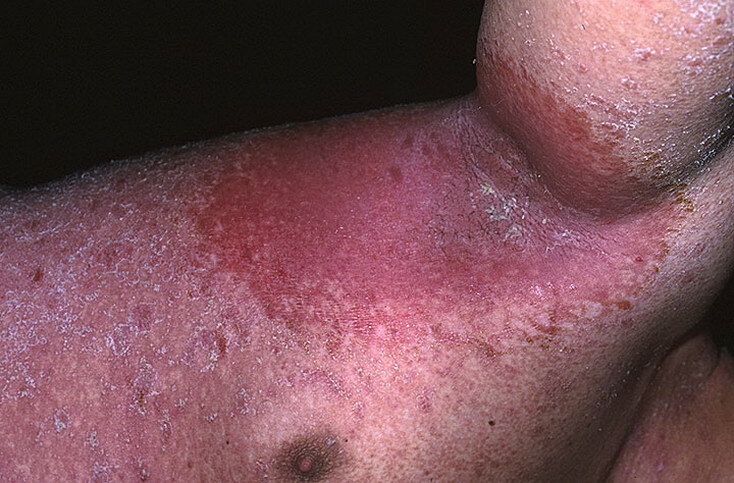 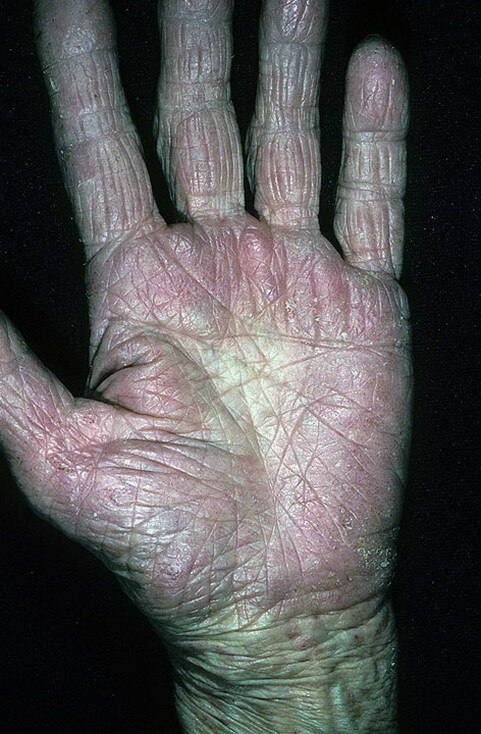 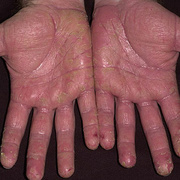 The most common type is atopic eczema. 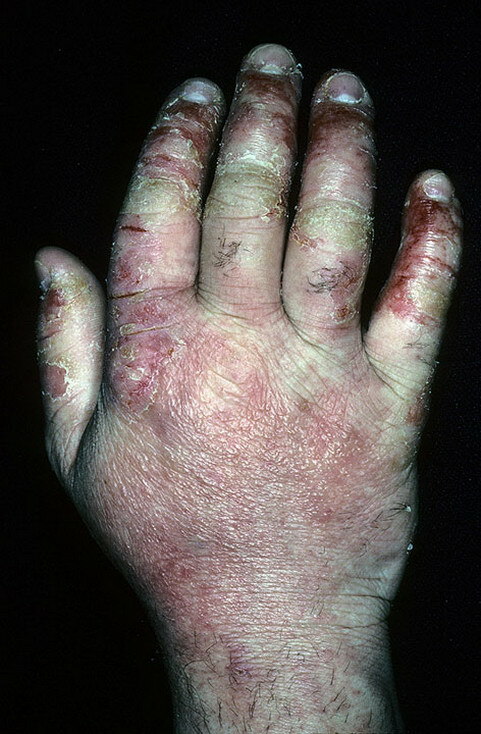 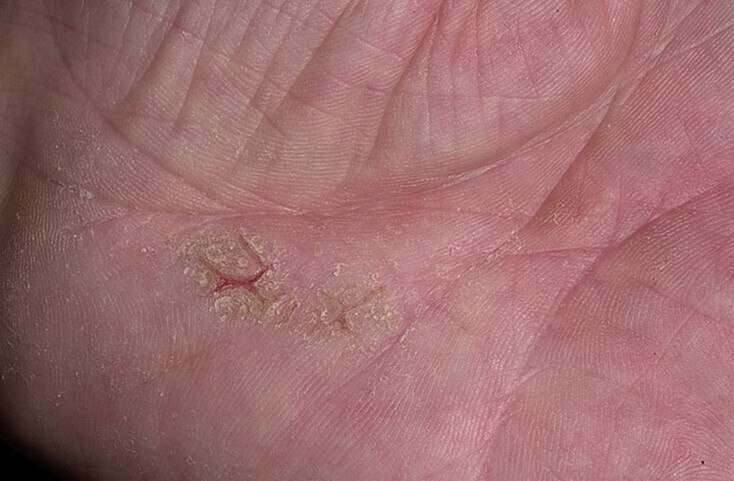 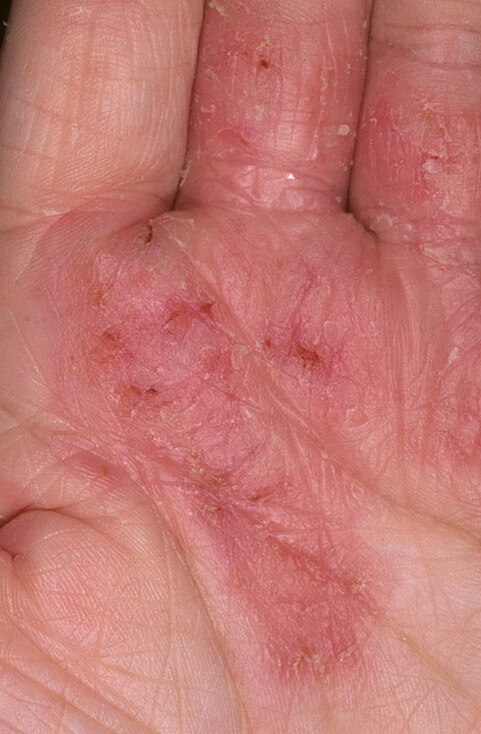 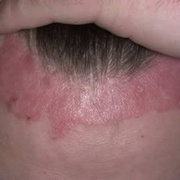 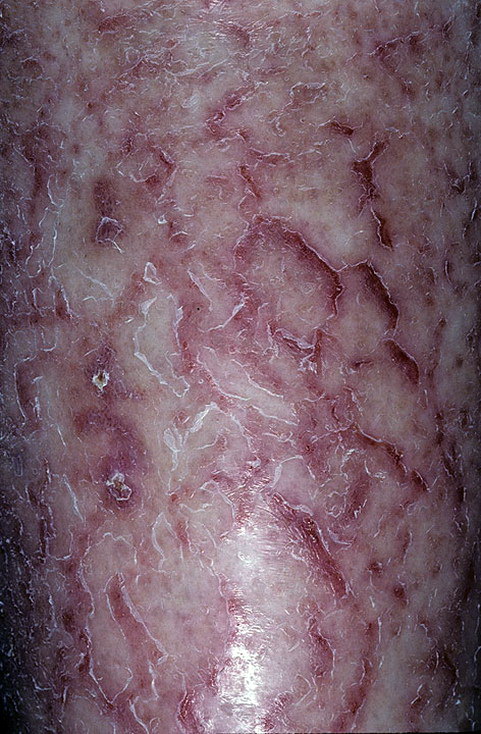 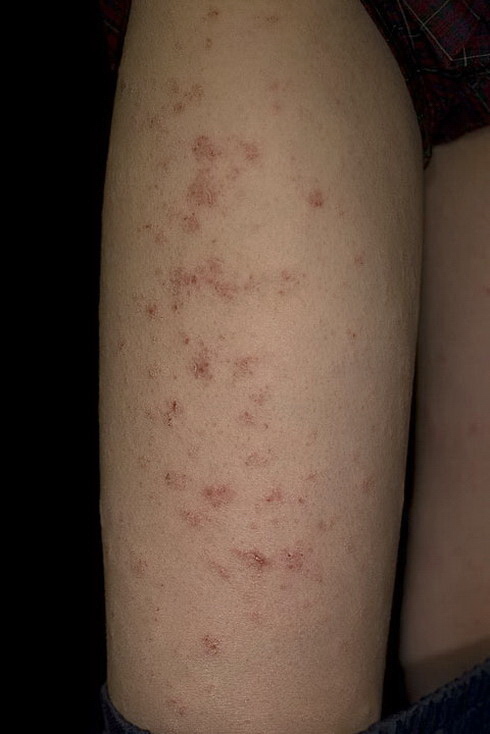 In this type of eczema there is a typical pattern of skin inflammation which causes the symptoms. 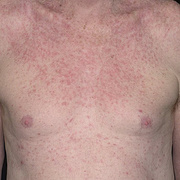 The word atopic describes people with certain allergic tendencies. 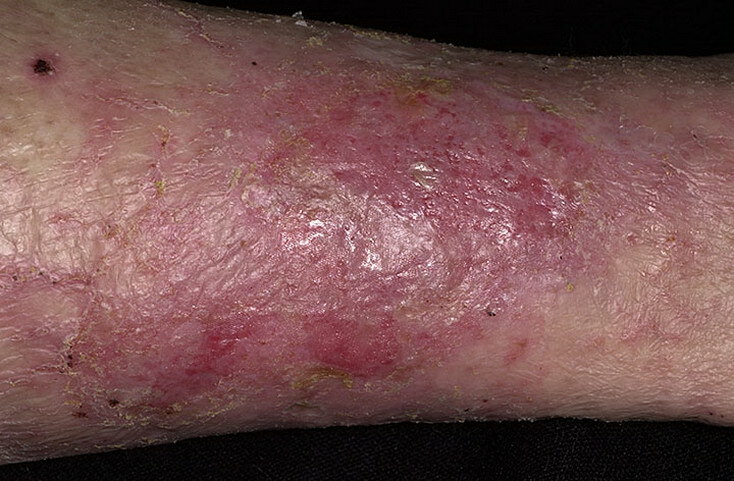 However, atopic eczema is not just a simple allergic condition. 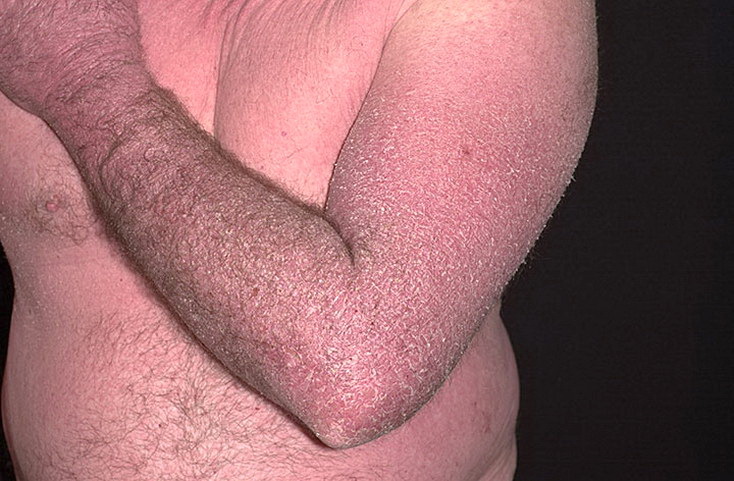 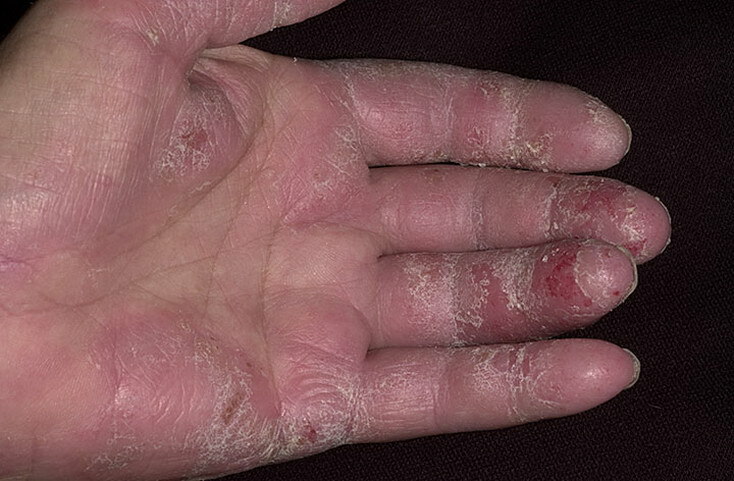 People with atopic eczema have an increased chance of developing other atopic conditions, such as asthma and hay fever. 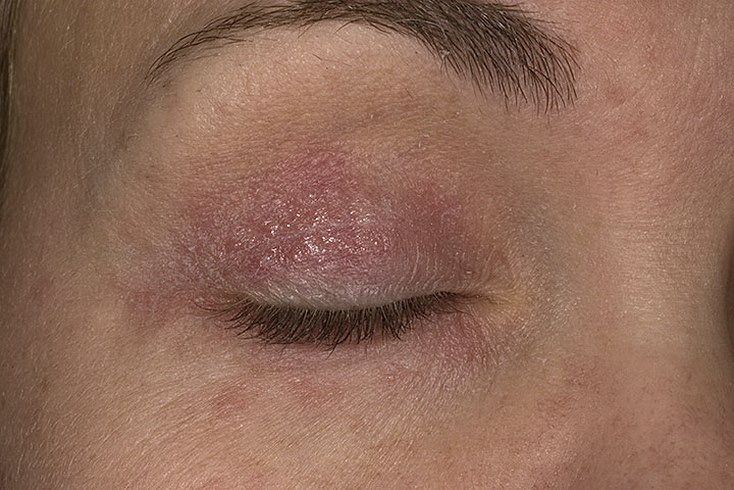 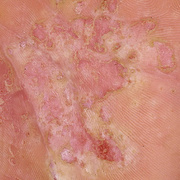 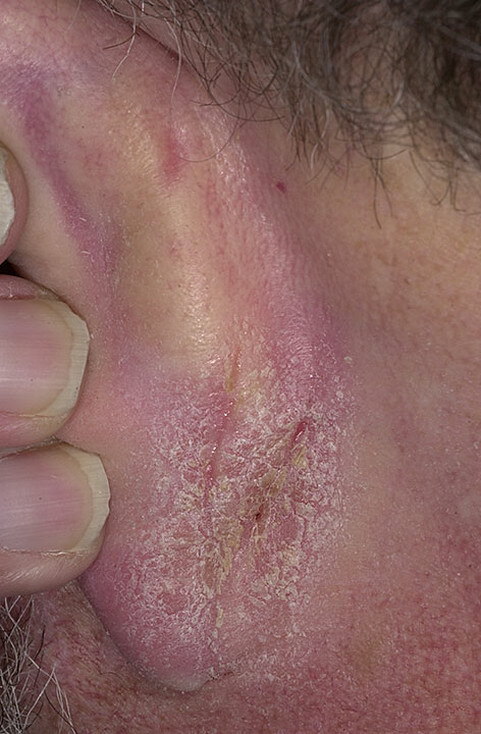 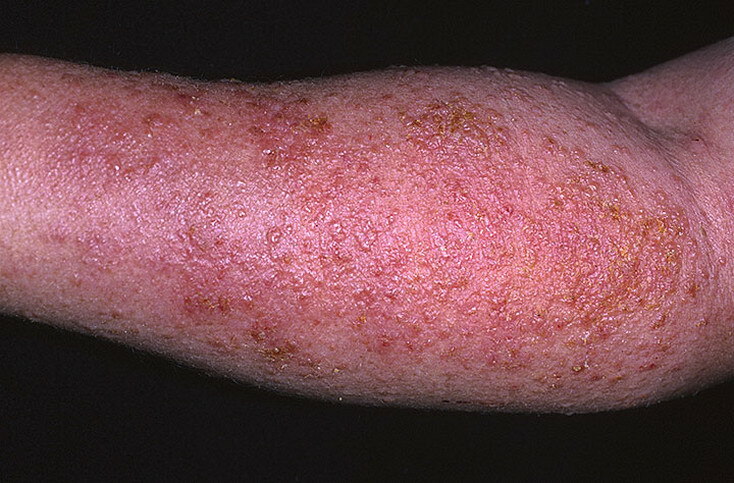 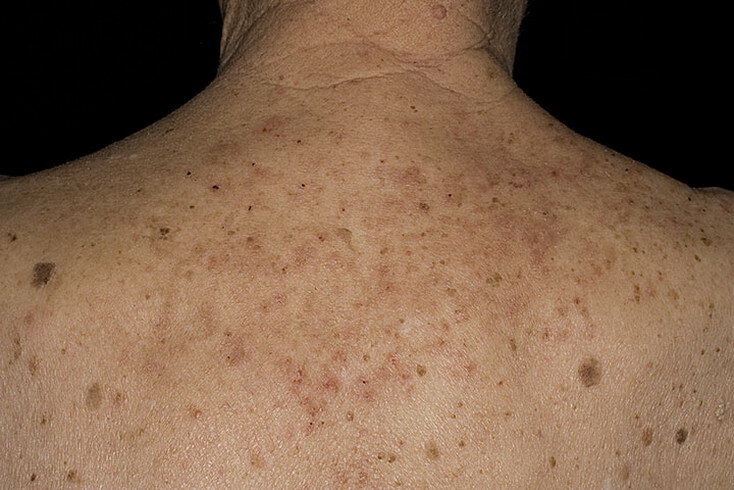 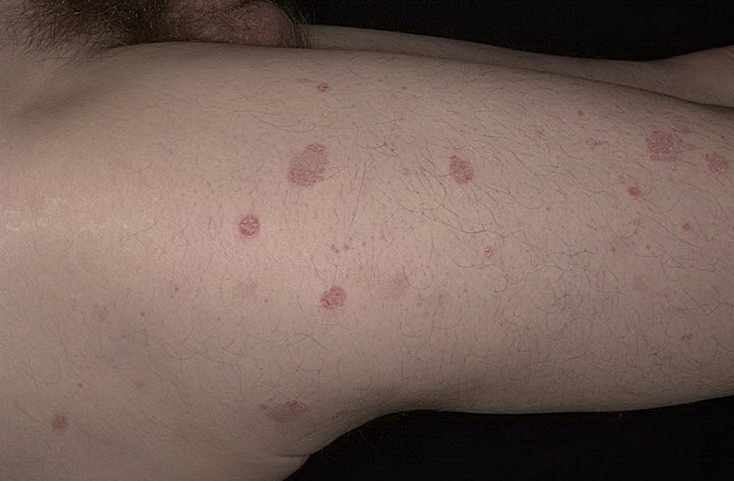 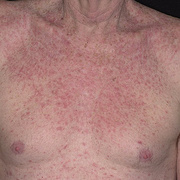 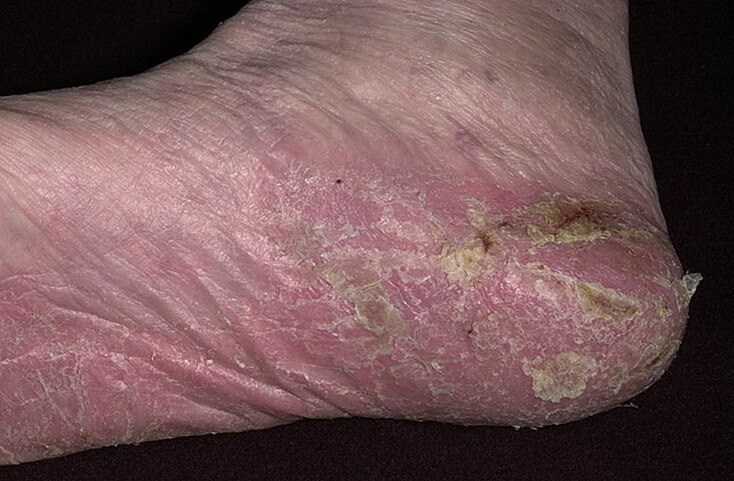 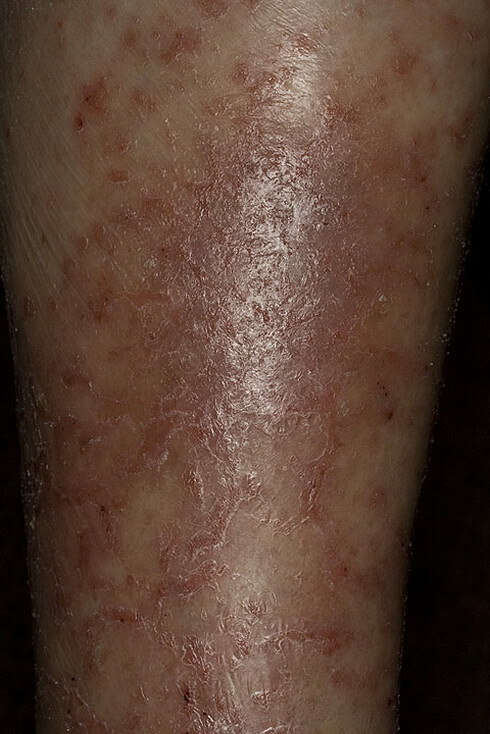 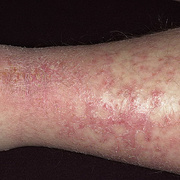 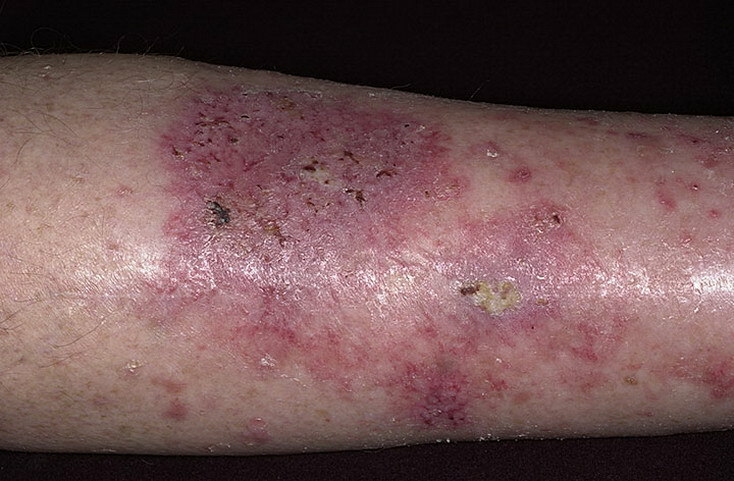 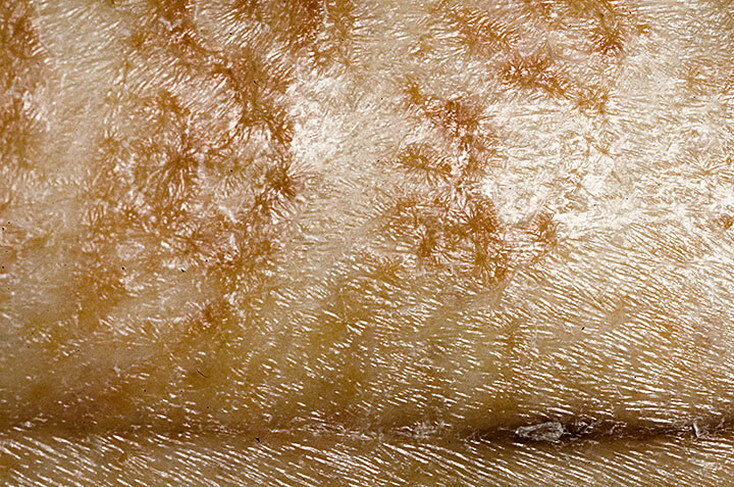 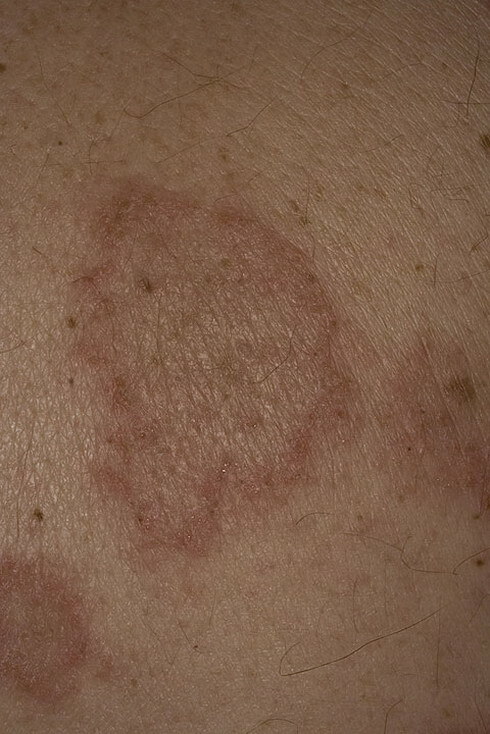 Typically, inflamed areas of skin tend to flare up from time to time and then tend to settle down. 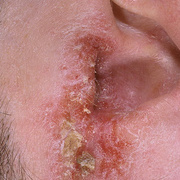 The severity and duration of flare-ups varies from person to person and from time to time in the same person. 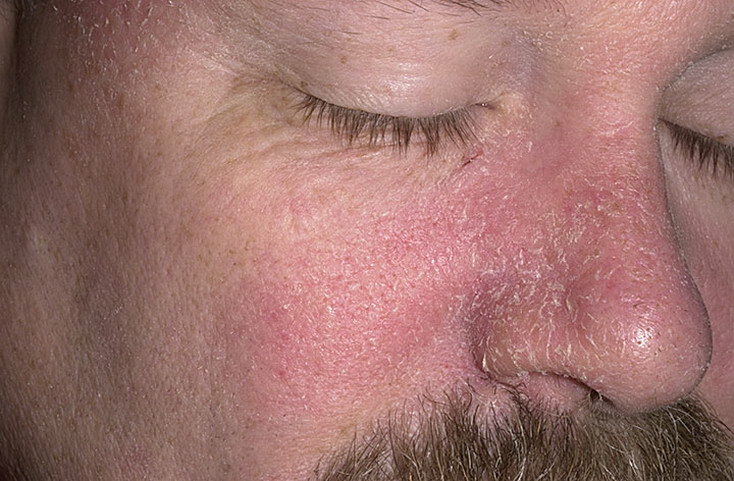 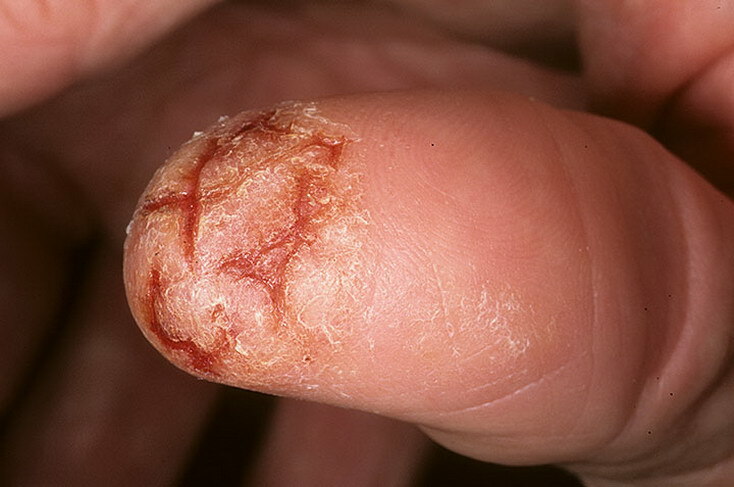 In mild cases, a flare-up may cause just one or two small, mild patches of inflammation. 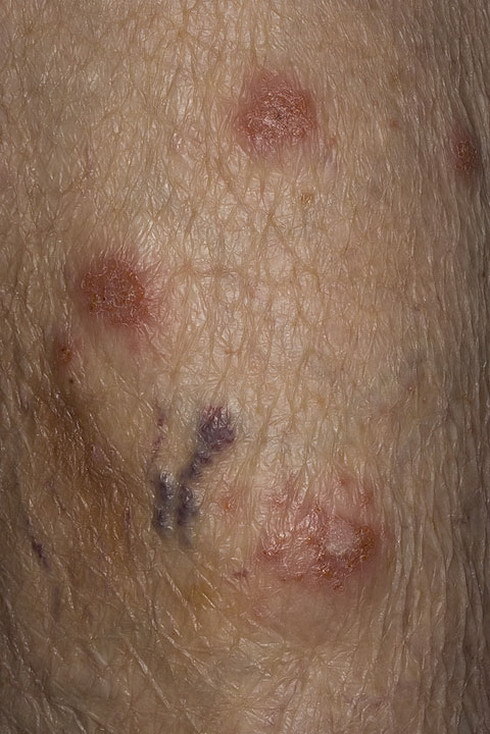 Often these are behind the knees, or in front of elbows or wrists. 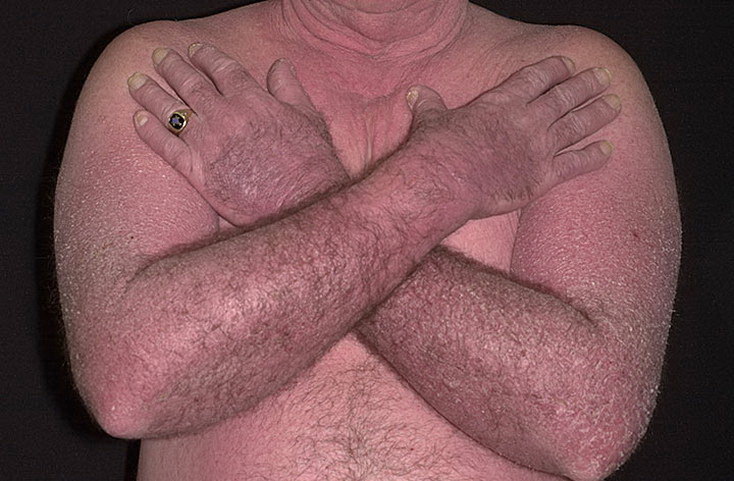 Flare-ups may occur only now and then. 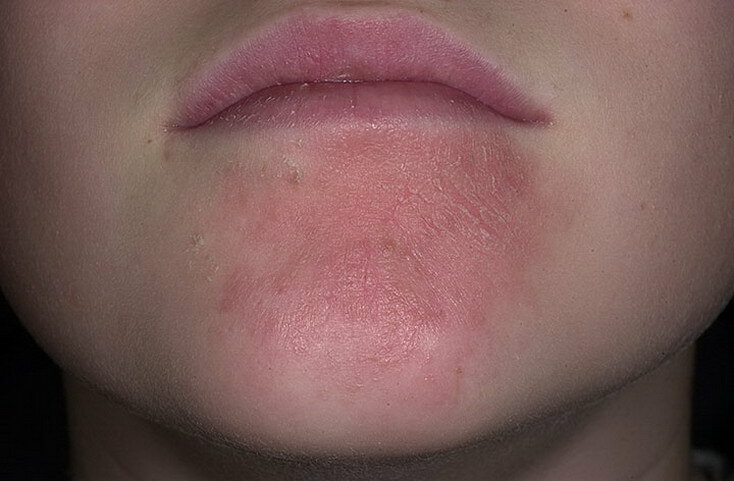 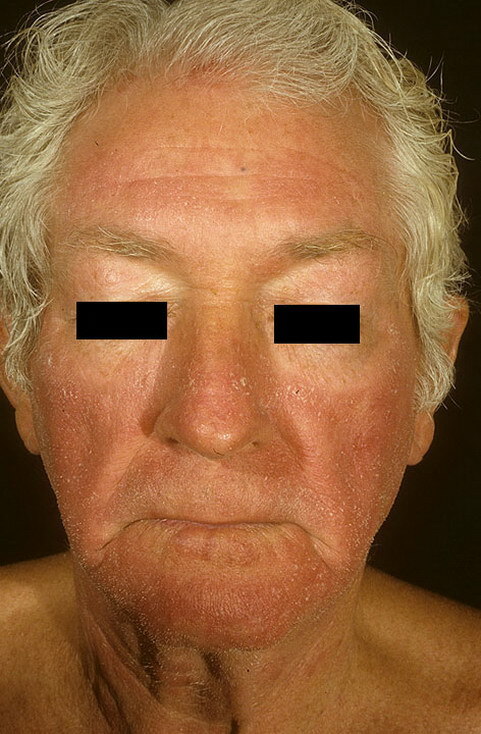 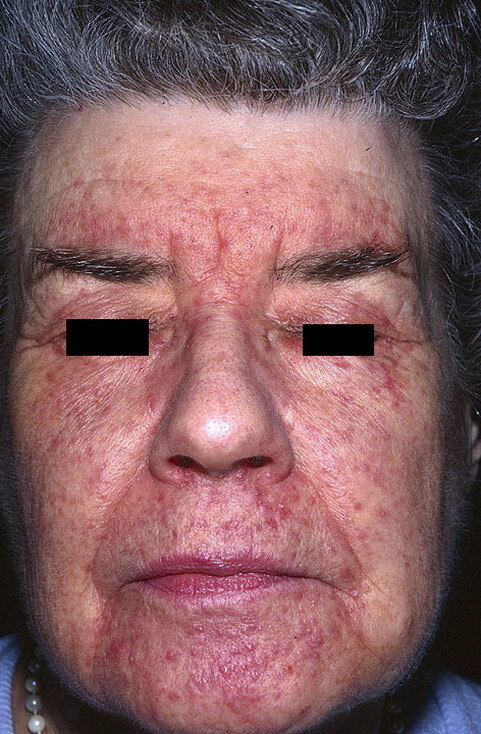 In severe cases, the flare-ups can last several weeks or more and cover many areas of skin. 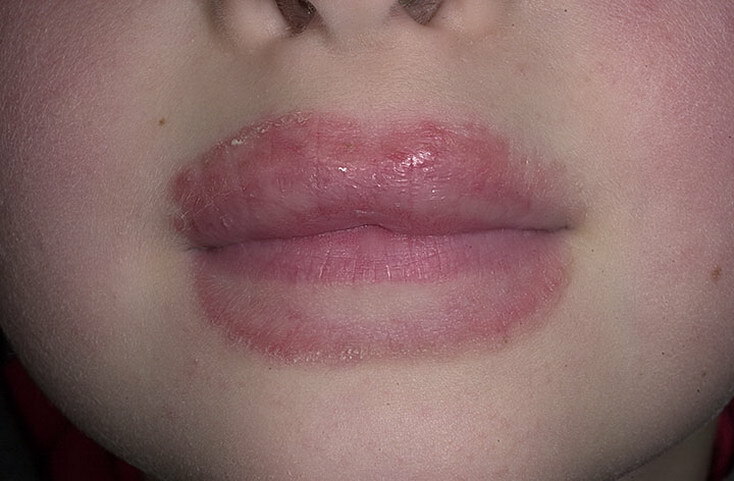 This can cause great distress. 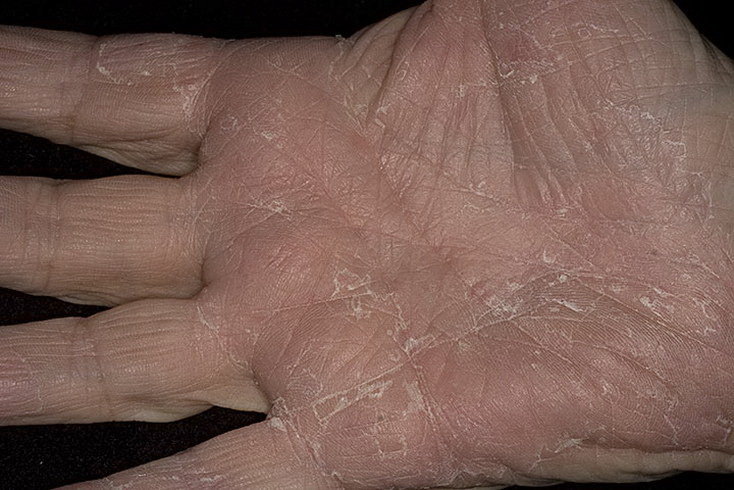 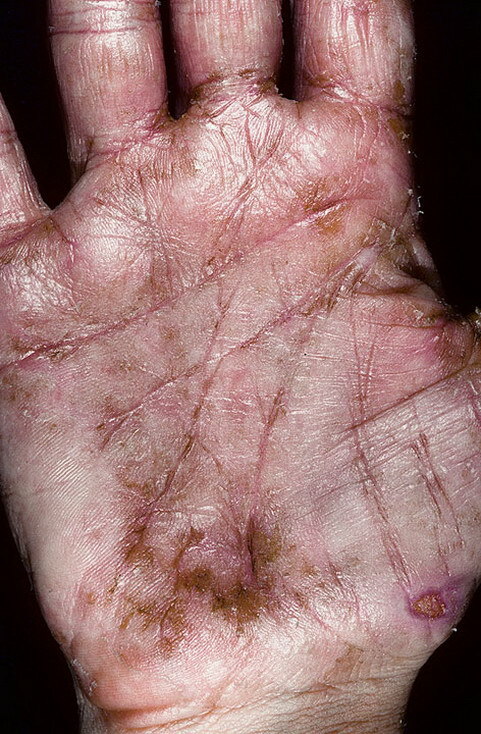 Many people with atopic eczema are somewhere in between these extremes.